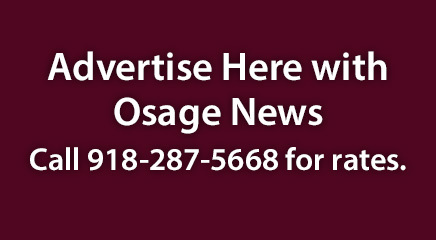 The Grayhorse Village will receive a new community building as early as 2020 after the Sixth Osage Nation Congress voted unanimously on Sept. 21 to appropriate $1.1 million toward additional building costs for a new structure. Congressman and Grayhorse District Head Committeeman Archie Mason sponsored the bill (ONCA 18-32) to appropriate the $1.1 million for a new community building, which has sustained roof damage in recent years caused by inclement weather. He described the appropriation request as “a dream for the Grayhorse people for some years,” noting the Nation applied for federal grant funding for a new building twice since the reformed ON government started in 2006 and both times were unsuccessful. The appropriation request comes one year after the Fifth ON Congress approved a resolution (ONCR 17-10 sponsored by then-Congressman Ron Shaw) that approved an initial $1.8 million toward a new community building in the Grayhorse village. According to ONCA 18-32, the $1.1 million will come from the Nation’s Retained Revenue Fund and is specified for “additional construction costs” for the building. 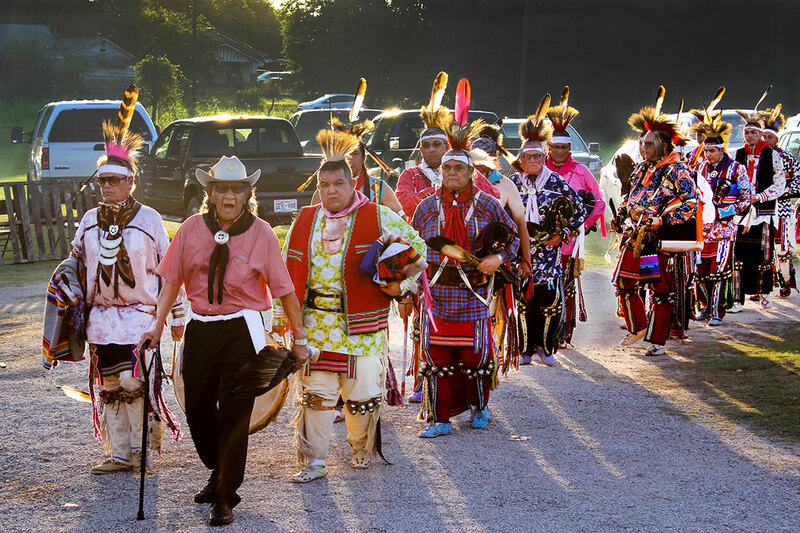 Like the other two Osage districts, the Grayhorse Village community hosts events year-round at the community building, including handgames, holiday parties, and cultural events including dinners when the village hosts its four-day In-Lon-Schka dances each June. Mason said more construction issues have come up since the 2017 funding approval, including the need for dirt work to support the new building, which will be built where the current building stands next to the dance arbor. Mason notes the building sits on a hill, meaning dirt work will be needed to support the foundation and building, which would be larger than the current one. Casey Johnson, Executive Branch Director of Operations, told the Congressional Cultural Committee on Sept. 17 there is an 11-foot drop due to the Grayhorse community building situated on a hill. He added the Nation, with the input of the Grayhorse Village Committee (Five-Man Board), has already spent more than $200,000 on architect and engineering costs. Mason referred to a letter from Grayhorse Village Committee Chairman George Pease who offered a history of issues with the current building, including its roof damage caused by severe wind and storms and in one instance, the kitchen refrigerators power failed causing the stored meat to spoil. Mason said the dirt work would also require rerouting a creek and drainage installation for inclement weather. “We’d like to have a facility that is similar to what Hominy has (new community building completed for the 2018 In-Lon-Schka dances), that’s a beautiful building, the kitchen is designed well, the wash area is designed well … It was a nice little building at one time (the smallest of the community buildings in the three Osage districts), but now it isn’t, so we’re here to present this particular piece of legislation for this building … a facility that will be built to last as long as that (2014-built) arbor’s going to last,” Mason told the committee. Johnson said a new community building would not be constructed in time for the 2019 In-Lon-Schka dances due to the tight window for the Nation, which would include demolishing the current structure after the dances; going through the bidding process for hiring the construction firm and to develop a work schedule once that builder is hired. Congressman Scott BigHorse, who sits on the Cultural Committee, said he is supportive of the building project, adding he recalls in earlier years there were 50-60 dancers under the arbor, but today’s dances can draw up to 200 dancers with the increased participation. ONCA 18-32 passed with a 12-0 vote on Sept. 21 and Principal Chief Geoffrey Standing Bear signed the bill into law on Sept. 24.